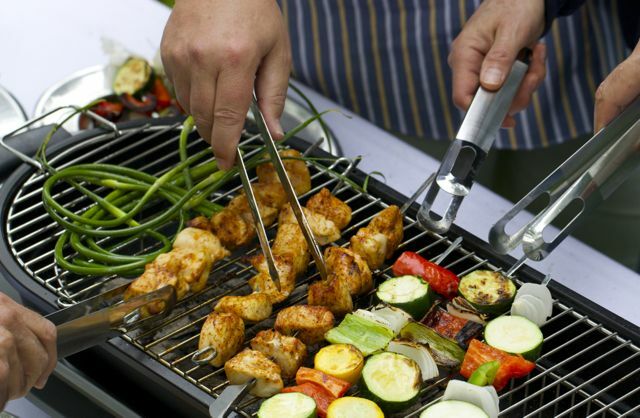 Are you ready for a totally different spin on the backyard grilling experience? This is it: Well Done Social Grill by Unikia. 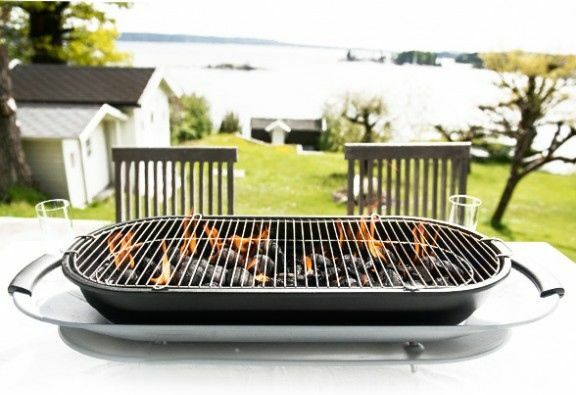 It’s a charcoal tabletop grill that lets you be your own grillmaster. If you’ve ever eaten at a Korean barbecue restaurant where the grill is built right into the table, it’s a little like that. Meat and veggies are roasted right in front of you… except now you’re the chef! I grill all the time, but I have to tell you, it’s so much more fun when everyone gets in on the act. GP used it when he had a few friends over and it was perfect, because each one of them fancies himself an “expert” at grilling. 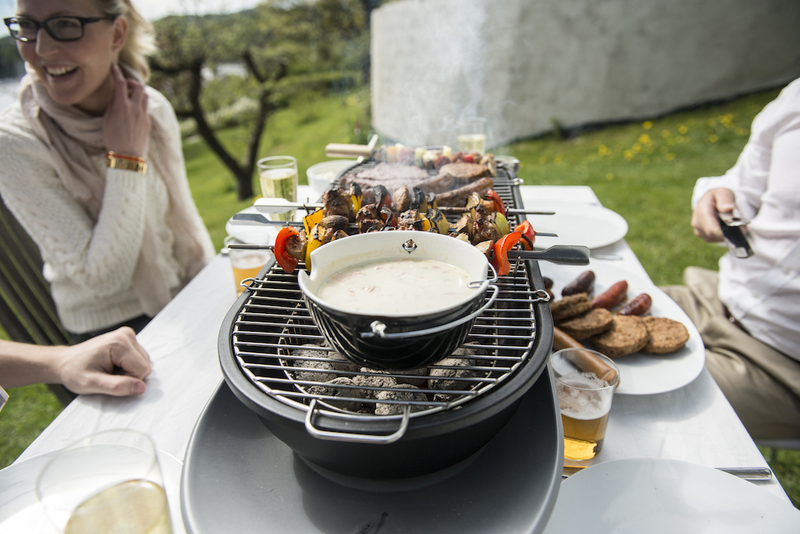 The Social BBQ Grill enables everyone to cook things to their own taste—and have a lot of laughs doing it. 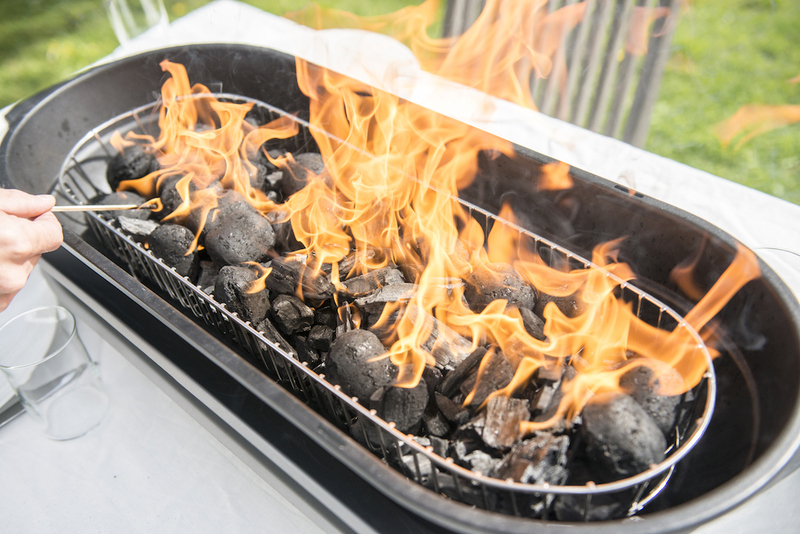 Here’s how it works: you place the streamlined grill on a table and fill up the charcoal basket. When the coals a glowing ashen gray color, let everyone have a go at grilling the food. It’s not complicated—that’s the beauty of it! And it’s nearly impossible NOT to talk with everyone as you’re grilling! This is interactive cooking at its best. The Social Grill is made of carbon steel with a high heat resistant powder coating so it is perfectly safe for a wooden table. Unikia doesn’t recommend using it on a plastic table, but if you do, make sure you protect the surface with something heat proof underneath the grill. The Social Grill is 35”x 8”x 11”, so you know it’s plenty big for 6 people to grill at the same time. It’s kind of heavy, though, so you might need someone to help you put it on the table (I did). I’m so happy my pals at Unikia sent me this grill to try out because it’s going to be a great addition to our outdoor party traditions. We’re having a house full of people for Lollapalooza this weekend, so I’m going to set it up and let everyone make their own s’mores and grilled fruit! Here’s a video of the Social Grill in Action! Buy the Social Grill here! Have you ever spent hours and hours cooking something deliciously marvelous on the stove only to turn your back for ONE SECOND and find it’s burned? Stuck to the bottom of the pot burned? Two-day-soak burned? Yep. That’s happened to me, too. Notice the past tense. HAPPENED. Never will again because I’ve got a Pauli Cookware stockpot. Yes… that’s EXACTLY what I’m saying. 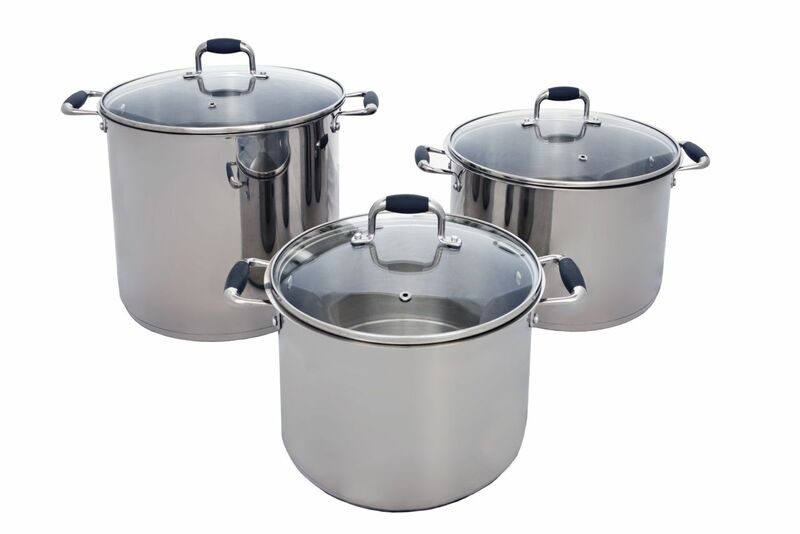 Pauli Cookware has a patented 7-layer commercial grade stainless steel and aluminum bottom that wraps around a hermetically sealed oil chamber. 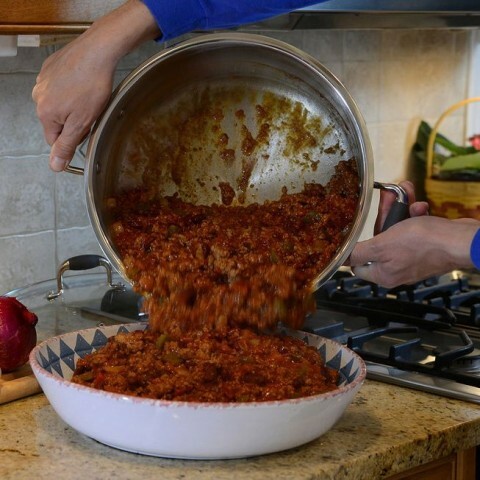 The oil heats up and distributes the heat evenly, so your food cooks without burning. Because of the way the pot is made, you can’t cook on high heat… that means no frying or sautéing. I thought this might be an issue when searing meat for a stew, but the bottom of the pot still gets hot enough to deliver a nice brown color. You have to wash the Pauli pot by hand, but I don’t put my cookware in the dishwasher anyway (you shouldn’t either!). 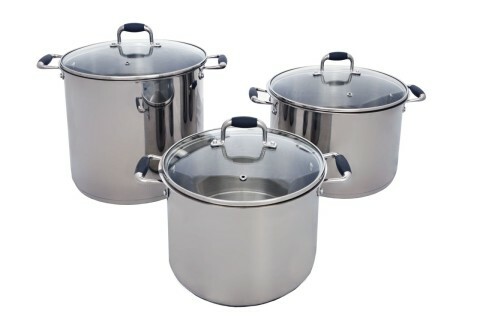 Pauli Cookware comes in 3 generous sizes: 7 quarts, 11 quarts and 16 quarts. It works on all cooktops, including induction. I’m always looking for help in the kitchen, and for ways to avoid “operator error”… like burning something. In that regard, my Pauli Pot’s got my back! If you’d like to order your own Pauli Pot, click on the link on my sidebar! Tell them Mama sent you! I’ll have some really fabulous recipes using my Pauli Pot over the next few months. How do you like your steak… still mooing or like a piece of shoe leather? At this time of year there are plenty of strange (and strangely wonderful) gadgets to boost your grilling mojo. Here’s one I really like: The SteakChamp. 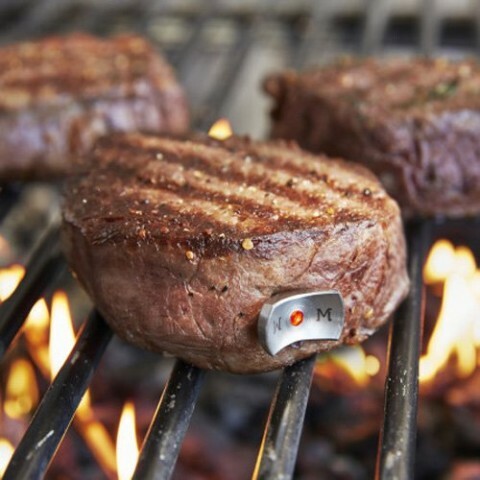 The German-made SteakChamp is a high-precision steak thermometer that will help you cook your steak exactly the way you want it, either on the grill, in the oven or in a pan on the stove. The stainless steel probes come in four models to suit your temperature preference (rare, medium rare, medium and medium well), and are tuned to USDA temperatures guidelines. But before I continue, may I digress a moment? The word “probe” has always bugged me. It reminds me of aliens, or something like that. Okay… back to the best tool for grilling the perfect steak, the SteakChamp. Remove your meat from the fridge about half an hour before cooking. The meat should be at least 1½-inches thick. Select the SteakChamp probe (there’s that word again) for the level of doneness you want (rare, medium rare, etc.). Insert the SteakChamp into the center of the meat sideways, until it is completely inside the meat and only the end of the SteakChamp protrudes. Sear both sides of the meat on high heat for 2 minutes. Reduce the heat to medium. When the SteakChamp begins to double flash, remove the meat from the heat. Let the meat rest until the double flashing signal stops. Remove the SteakChamp and serve your perfect steak. Visit the SteakChamp website to see how this gadget works on top of the stove and in the oven. You can find it at Sur la Table. Follow the directions and you’ll be grilling like a champ all summer! Hurt myself. Again. Hard to type. Even harder to work in the kitchen. Thank goodness for the Staybowlizer! Between all the writing I do and the constant kitchen activity, I got me some vicious carpal tunnel syndrome in my left hand (I even have the ugly wrist brace to prove it). 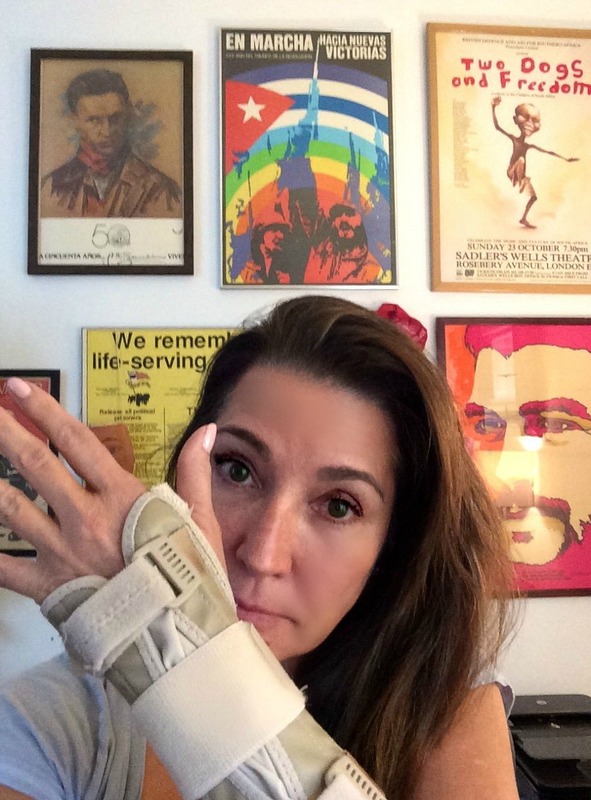 In addition to curating this fabulous website, I’m a culinary consultant… so I really can’t afford to miss a day’s work. Thank goodness I met the Staybowlizer folks at the International Housewares Show in March (where they won an Innovation Award). 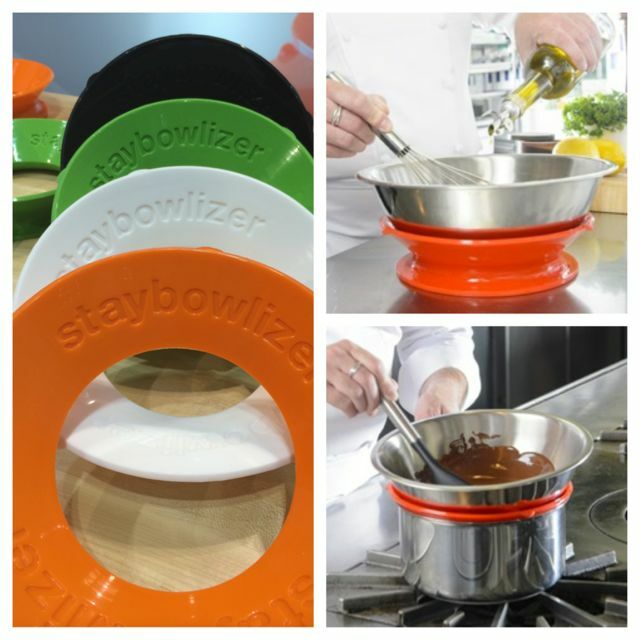 The sturdy Staybowlizer really is like a third hand in the kitchen (or in my case, a second hand). It holds your bowl in place so you can whisk your vinaigrette and stir your batter without your bowl dancing off the countertop. This is a great alternative to the “damp towel ring” many of us have used to steady a bowl on the counter. The suction-like bottom keeps the Staybowlizer where you want it, and the tapered opening lets you tilt and angle the bowl for easier whipping. You can also invert the 8¾-inch Staybowlizer ring on top of a pan of boiling water to create a double boiler. 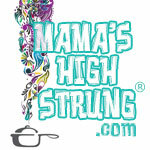 It’s made of BPA-free FDA standard food-safe silicone and is microwave and oven safe to 500°F. Best part? It’s dishwasher safe. And, it comes in a lot of cool colors, so it even looks nice on your table as a trivet. You can find it on Amazon.com or TheGrommet.com.